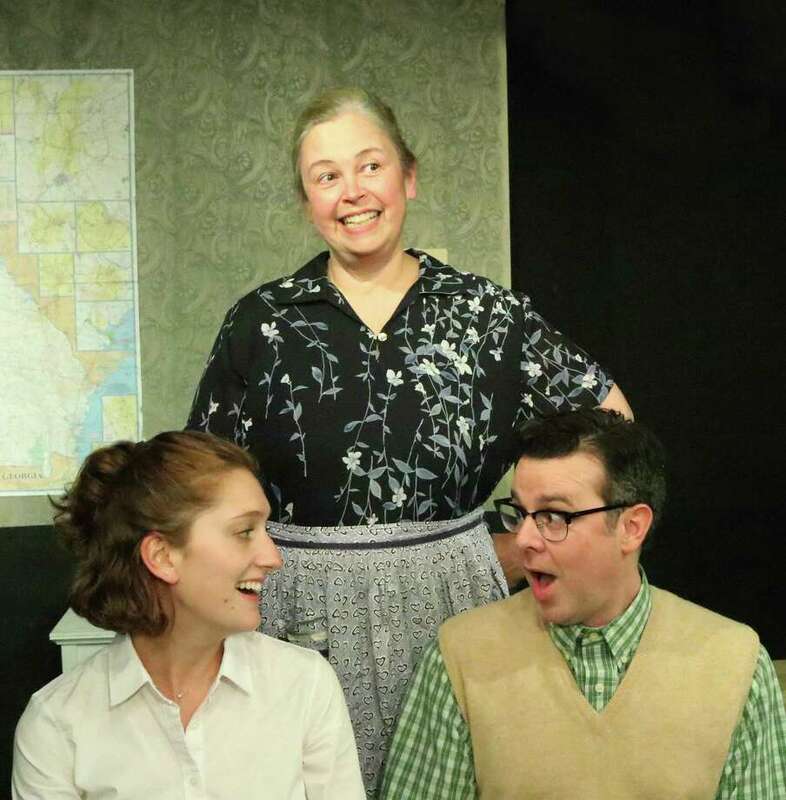 Rehearsing a scene for "The Foreigner" at Curtain Call in Stamford are Sophie Tiesler, left, Betty McCready and Grady Dennis. The show is at the Dressing Room Theatre Sept. 20-Oct. 7. In “The Foreigner,” Charlie, shy and seeking solitude, is on vacation at a Georgia bed and breakfast, where he pretends he is a foreigner, understanding no English. However, he soon witnesses bizarre schemes by people (including some Klan members) who think he can’t understand a word they say, leading to confusion and non-stop hilarity that set up a funny ending. While the show is definitely a comedy, Ursone said in a news release, some deeper moments and themes are woven through. “It makes you stop and think about how we treat people that we don’t understand … that no matter our backgrounds, we can learn to accept strangers into our lives, and, in many cases, learn from them,” Ursone said. The cast includes Grady Dennis, as Charlie; Scott Ferrara, as Owen; Jim Foley, as Froggy; Daniel P. Mann, as David; Betty McCready, as Betty; Nicole Neurohr, as Ellie; and Sophie Tiesler, as Catherine. Production design is by Peter Barbieri, Jr. with costumes by Megan Latte Ormond.